Litchi, a Chinese edible fruit, which is occasionally to be found in the fruit stores of our seaport cities. It is produced by a small tree, nephelium litohi, belonging to the sapindacece, the family which includes the horse chestnut, soap berry, etc. ; the leaves are pinnate, and the small apetalous flowers, are in panicles at the ends of the branches. The fruit, which is borne in clusters, is globular, about an inch and a half in diameter, and when fresh is filled with a sweet, white, nearly transparent, jellylike pulp, within which is a single seed. The Chinese are exceedingly fond of the pulp, and esteem the litchi above all other native fruits. The fruits come to us in the dried state only, but they are dried for home use as well as for exportation; as found in the stores, the very thin handsomely marked shell is of a reddish brown color, and partly empty from the shrinking of the pulp in drying, which tastes somewhat like prunes. 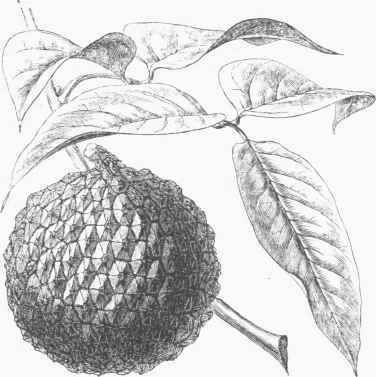 Other species of nephelium furnish the longan and rambutan, fruits highly esteemed in China and neighboring countries; but the litchi is the only one imported.